One of the purposes of Picking Books is to discuss how we can learn through books. One thing we can learn from books is how to spot fake news. And given that it’s election season, I thought I’d share what I learned from Hit Makers, Thank You For Arguing, The Complete Guide To Article Writing, and Blur about rhetoric, journalism, and fake news. Though Hit Makers is a book about the science of popularity, Thompson devotes a good chunk of it to the ways politicians and companies use rhetoric, musicality, and story to sway the masses and gain popularity. After all, rhetoric is deeply enmeshed in the science of popularity and is part of what makes the story of how hits are made so complex. Hit Makers also got me thinking about the current political climate and the ways we have made ourselves susceptible to the allure of rhetoric and fake news. So, when the news and most online content seems like a giant game of Balderdash, how do we know what to believe? Let’s find out. Rhetoric is the art of persuasion. Rhetoric can seduce us. It can enrage us. It can change our minds or motivate us to act. It is an ancient art that we use every day, even though most of us aren’t as well-spoken as Aristotle. Skilled rhetoricians use a number of rhetorical devices to provoke desired responses in their audiences. Thompson discusses two interesting rhetorical devices in Hit Makers: anaphora and antimetabole. Both anaphora and antimetabole make for catchy, motivating speeches. They are two of many rhetorical devices, but anaphora and antimetabole are good examples of how words can bewitch us. Anaphora is the repetition of a word or phrase at the beginning of several successive clauses, as in Martin Luther King Jr.’s iconic “I Have a Dream” speech. Anaphora adds emphasis and rhythm. There is a dark side to rhetoric. It plays on our emotions. In Thank You for Arguing: What Aristotle, Lincoln, and Homer Simpson Can Teach Us About the Art of Persuasion, Jay Heinrichs writes that Aristotle listed anger, patriotism, and emulation as “emotions that can get an audience out of its seats and make it do what you want.” Unfortunately, politicians and news organizations on both sides of the aisle use anger and patriotism as rhetorical strategies way too often. I suppose that’s the problem we’ve always faced—the manipulation isn’t always for good. But we make ourselves more vulnerable to manipulation by submitting ourselves to what Thompson calls ideological “burn-in,” also known as our filter bubbles. In Hit Makers, Thompson references a complaint television manufacturers passed along to the Fox News Channel in the late 1990s—the stationary Fox News logo was burning itself into the television screens of people who continuously watched Fox News, leaving a phantom logo when the viewers changed the channel. Our hunt for fluency and familiarity also leaves us unable to spot fake news. Fake news is a neologism (an often cringeworthy neologism) that means different things to different people. For our purposes, I’ll use Penn State University Libraries’ definition because it is the most comprehensive and level-headed. According to Penn State University Libraries, fake news is news from “Sources that intentionally fabricate information, disseminate deceptive content, or grossly distort actual news reports.” Yes, you can also call fake news spin, lies, inaccuracies, propaganda, etc. depending on the context, but the term fake news has cast a shadow over public discourse in recent years, so here we are. Fake news doesn’t have to be political, or even news. By Penn State Univeristy Libraries’ definition, any content, be it a news story, blog post, pod cast, video, etc., that spreads fabricated, deceptive, or distorted information is fake news. It’s hard enough to spot fake news when the media legitimizes it by giving its creators a platform, but when the fake news aligns with our beliefs, it’s even more difficult to accept that it’s untrue or grossly distorted. It’s also difficult to spot fake news when it’s told in a compelling and rhetorical way. Moreover, the President has made a habit of calling verifiable stories from reputable and reliable news sources fake news. Ironically, the substance of his accusations is the fabricated information. To find the truth, we need to look for reliable websites and news organizations and be less concerned about which way they lean and whether or not we always agree with them. Our focus should be on consuming information from reliable sources. Difficult but not impossible. According to Saleh, journalism should be verifiable, transparent, and coherent. Journalism is verifiable if it can be checked out. Good journalism is evidence based, fact-checked, and fact-checkable—meaning that the journalist provided enough citation information for readers to go look up the information and verify it themselves. Transparency is when a journalist offers contextual disclosures in an article. For example, when I get a book for free from an author or Net Galley in exchange for a review, I disclose that conflict of interest. Conflict of interest is only one example of transparency; any disclosure of journalistic choices or explanation of a journalist’s process indicates transparency. As an audience member, transparency can be difficult to detect on a story by story basis because if a journalist doesn’t disclose something like a conflict of interest, you often won’t have any way of knowing his or her omission. If the journalist or publication, however, has a track record of disclosing relevant information and journalistic choices, you’re likely dealing with a news source that values transparency. Coherence is how journalists make sense of the facts. Saleh explains that audiences need to be able to make up their own minds, but to do that, they need context, so the facts make sense. Saleh uses the difference between Proposition 30 and Proposition 38 in California’s November 2012 elections, which both sought to raise money for schools, as an example. Saleh writes, “Proposition 30 was supported by Governor Jerry Brown and relied mostly on raising taxes paid by the rich in order to fund the initiative. In contrast, Proposition 38 was supported by a wealthy lawyer named Molly Munger and intended to fund schools by raising taxes paid by all citizens. For voters, the propositions were confusing because they both benefited schools.” In this case, journalists helped Californians make sense of the distinction, allowing them to make up their own minds about which proposition they wanted to vote for. Coherence is different from spin. Coherence provides context. Spin aims to change your perception of a story by distorting it. A news story is coherent if you’re left understanding the big picture. Another important concept Saleh mentions in The Complete Guide to Article Writing is journalism of affirmation. (p.78) According to Bill Kovack and Tom Rosenstiel, authors of Blur: How to Know What’s True in the Age of Information Overload, journalism of affirmation is “a new political media that builds loyalty less on accuracy, completeness, or verification than on affirming the beliefs of its audiences, and so tends to cherry-pick information that serves that purpose.” So, if the news you watch, read, or listen to consistently leaves you feeling indignant or outraged, it’s time to get your news elsewhere. The American Library Association (ALA) offers a more concise way to spot fake news in their “How to Protect Yourself from Fake News” bookmark. The bookmark stresses fact-checking and following up on citations. It also advises you to “skip anonymous news reports” and URLs with “odd suffixes or substitutions,” for example, the suffix “.com.co.” You might be able to find the bookmark at your local library. If not, you can buy a 100 pack of the bookmark for nine dollars from the ALA store and donate the other 99 to your library. Still with me? Whew. From Hit Makers and Thank You for Arguing to The Complete Guide to Article Writing to Blur, that was a lot of information! I’ll end this quickly. In Hit Makers, Thompson writes, “Stories are a kind of sorcery. Like repetition and anaphora, they can seduce the mythmaking mind and can suppress the kind of deeper thinking that is also quite necessary to understand the truth of things. A great story that serves the wrong purpose is a dangerous thing.” A great news story that serves the wrong purpose is also dangerous. Beware of political rhetoricians who “dress ugly ideas in catchy language.” And don’t let your filter bubble, desire for affirmation, or natural affinity for patriotic rhetoric suppress your deeper thinking or drive a wedge between you and your family or friends. 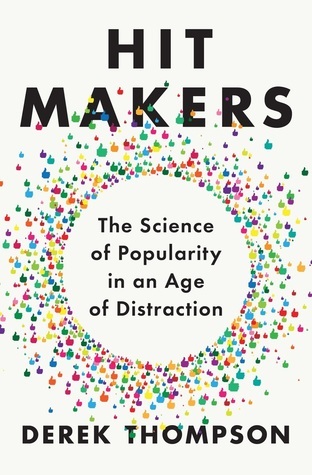 Derek Thompson, Hit Makers: The Science of Popularity in an Age of Distraction (New York: Penguin Press, 2017), 15. Jay Heinrichs, Thank You for Arguing: What Aristotle, Lincoln, and Homer Simpson Can Teach Us About the Art of Persuasion, Second edition (New York: Three Rivers Press, 2013), 88. Heinrichs, Thank You for Arguing, xiii. Jeff Knapp, “Library Guides: ‘Fake’ News: What Is Fake News?,” accessed September 7, 2018, http://guides.libraries.psu.edu/fakenews. 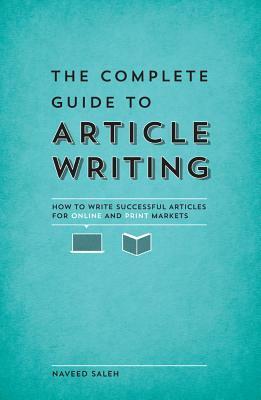 Naveed Saleh, The Complete Guide to Article Writing: How to Write Successful Articles for Online and Print Markets (Cincinnati, Ohio: Writer’s Digest Books, 2013), 81. “September 11, 2018: Hour 1,” Here & Now (NPR, September 11, 2018), https://www.npr.org/podcasts/510051/here-x26-now. Saleh, The Complete Guide to Article Writing, 77. Bill Kovach and Tom Rosenstiel, Blur: How to Know What’s True in the Age of Information Overload, 1st U.S. ed (New York: Bloomsbury, 2011), 34.